When it comes to conserving water proper landscape installation is key. Hiring a landscaping company in Fort Collins has the skills and knowledge is the way to go. Not only is conserving water good for the environment but it is good for your wallet too. Installing water wise plants is straightforward and should not require special planting techniques if the soil is well prepared and you have selected plants that are compatible with the site characteristics. In areas where landscape fabric is being used it should be installed prior to planting and should be held in with landscape pins. Drip irrigation should be placed on top to make it more accessible for repairs. Before planting, follow the landscape design plan to lay out plants and measure the spaces in between them. When planting small plants in big spaces estimating distances between plants can result in expensive errors as plants mature. Applying mulch is usually the last step of landscape installation and serves several purposes. Its primary purpose is to keep the soil surface cool and evenly moist which reduces the amount of irrigation necessary. 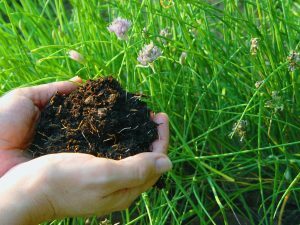 A layer of mulch several inches deep reduces evaporative losses from wind, reduces weeds by preventing weed seeds from reaching the soil surface, and discourages germination of weed seeds on the soil surface. Mulches provide an attractive ground cover that defines the planting areas in the landscape. They are generally classified into one of two categories: organic or inorganic. Landscapes are never truly finished because there will always be regular maintenance involved. For now, you can sit back and enjoy your beautiful water wise landscape!